Should I tweak my titles and descriptions to improve my CTR? The content of the title-element for a page (URL) is a strong ranking factor and should therefore always be in use. Additionally, every URL should have its own unique title and, if possible, the keyword, for which the specific URL is supposed to achieve good rankings for, should be at the beginning of the title. Optimising the title-elements is part of the so-called “SEO Basics”. 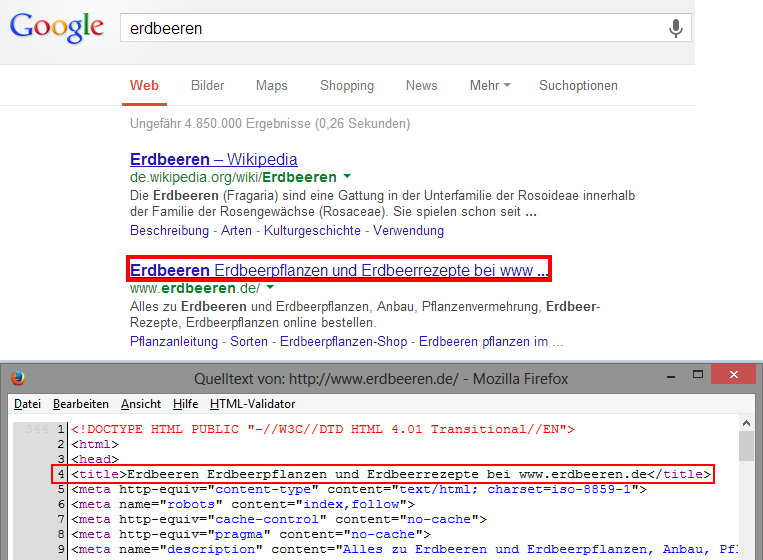 In most cases, Google will show the title-tag as the headline for a result in the search engine result pages (SERPSs). If no title-tag is set, then Google has to try to create one based on other signals, like link texts of the linking pages. The content of the title-element is shown on the search result pages and is a clickable link. It is recorded in the source code. You should use the SISTRIX Optimizer to review and optimise all title-elements on your website. The Optimizer will automatically check you website for SEO mistakes and will give you useful tips on how to improve your site. Title Tags help to improve the CTR.